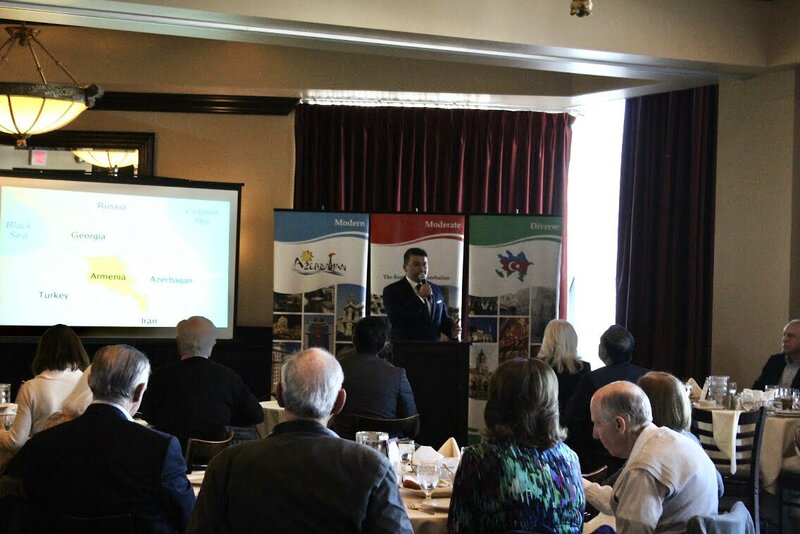 At the invitation of the Las Vegas World Affairs Council (LVWAC), Azerbaijan's Consul General in Los Angeles Nasimi Aghayev addressed the LVWAC members in Las Vegas, the U.S. State of Nevada. 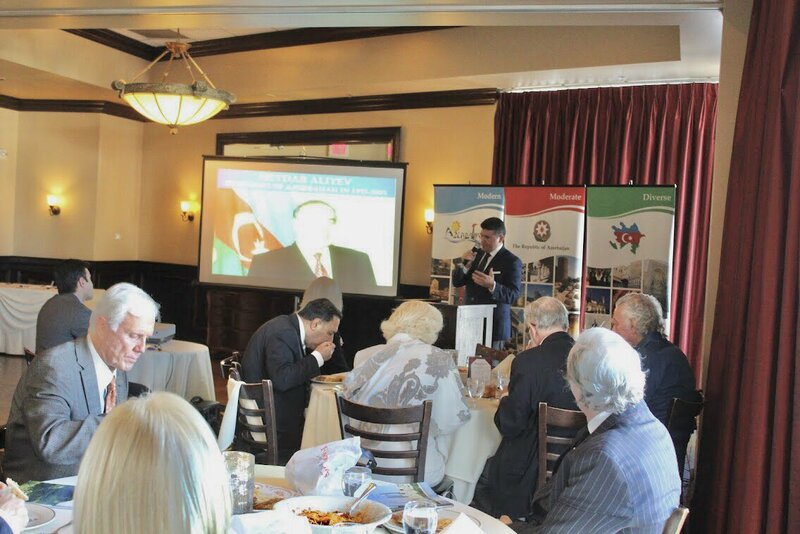 Consul General Aghayev drew the audience’s attention to Azerbaijan’s geographical location and its history of independence and highlighted Azerbaijan’s important role in the Muslim world and in the current international political system. He stated that Azerbaijan established the very first secular parliamentary democracy in the entire Muslim world in 1918 and became the first majority-Muslim country to give women the right to vote. The first opera, operetta and ballet in the Muslim world also belonged to Azerbaijan. The Consul General noted that since restoring its independence in 1991, Azerbaijan has rapidly developed its economy and today it is the strongest economy in the region. He also mentioned that today Azerbaijan participates in important regional and international oil, gas and transportation mega-projects. Speaking about the foreign policy achievements of the country, Aghayev stressed that today Azerbaijan has become an important player in the region and beyond, thanks to the innovative and visionary leadership by President Ilham Aliyev. 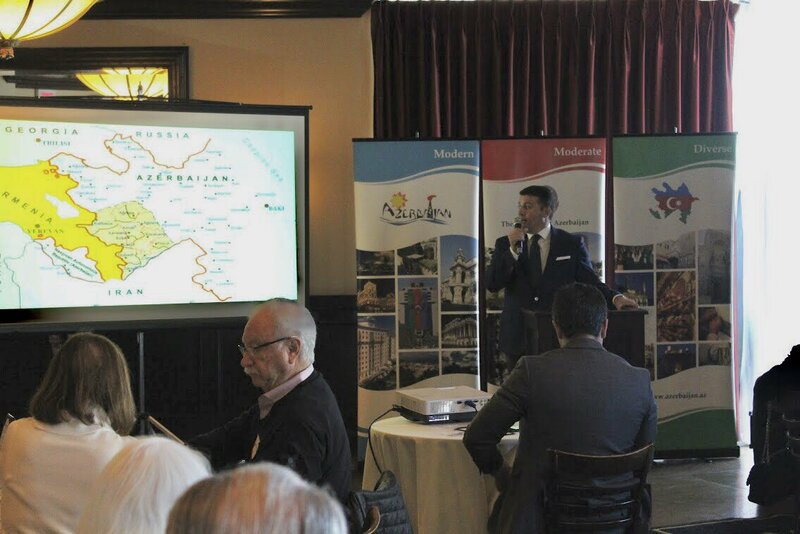 Consul General Aghayev also talked about Azerbaijan’s rich traditions of multiculturalism, interfaith tolerance and harmony mentioning that people of different ethnic and religious backgrounds have been living together in peace, dignity and mutual respect, and have openly been practicing their religions, customs and traditions for many centuries in the country. The Consul General also provided an insight into the illegal military occupation and ethnic cleansing of Azerbaijan’s Karabakh region by neighboring Armenia. Highlighting the history of the conflict, Aghayev mentioned that as a result of this military occupation of around 20 percent of Azerbaijan’s sovereign territory, over 800,000 Azerbaijani civilians were expelled from their ancestral lands in the Nagorno-Karabakh region and seven surrounding districts. Aghayev also mentioned that Armenia refuses to fulfill four United Nations Security Council resolutions condemning the occupation. Following the presentation, Consul General Aghayev responded to questions from the audience.